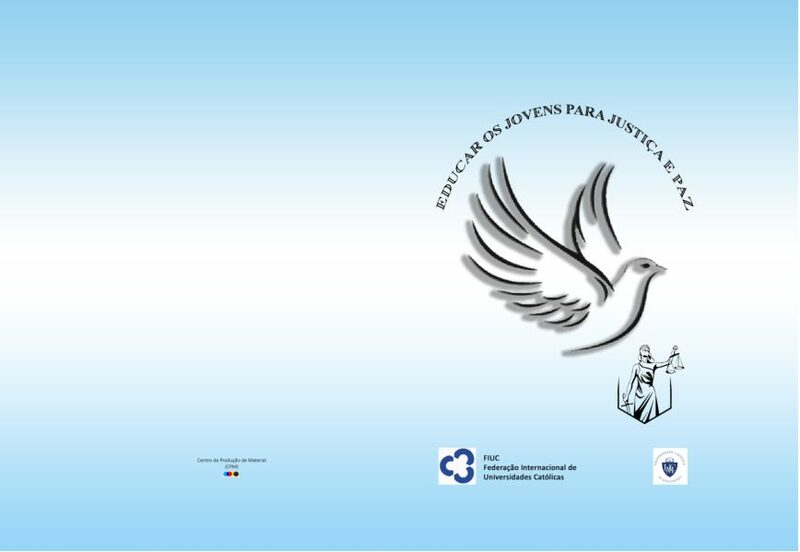 The Catholic University of Mozambique released a manual addressed to campus ministry officers to contribute to educating young generations to justice and peace. This manual falls into an international action-research project that was carried out by CIRAD-FIUC in sub-Saharan Africa in collaboration with various Catholic universities. The project aimed to get to know better young communities leaders, as well as young professional leaders of five countries of sub-Saharan Africa, in particular their work in favor of the transmission of values ​​that convey justice and peace in the subcontinent. In the light of the results obtained, the participating teams prepared training materials and various proposals for action in order to strengthen education and to raise young people’s awareness about justice and peaceful coexistence. The young people are very often the victims of social injustice; they are also often used as agents of perpetrating the same in the society. Learning to live together, learning to live with others, is one of education main challenges today. Conflict is part of community life; a pacified community is able to manage its own conflicts by adjusting its rules. Justice: source of peace or source of conflicts? You can download the Manual (in Portuguese) here!